Easton Country Club, like many other country clubs, have wonderful service, a spacious ballroom and well manicured grounds. What is not advertised on their website is two beautiful rows of trees behind the main building. It’s symmetrically stunning, and incredible at sunset. 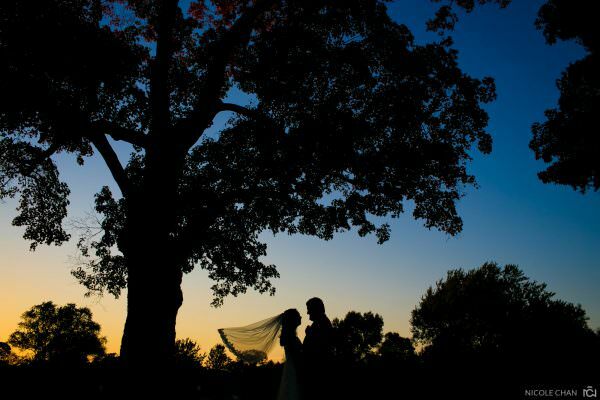 I created some of my favorite foliage photographs during dusk for Candice and Derek’s wedding.